The mini downhill series is now in it’s 10th year. On a bright sunny morning in March on a dry dusty track the team joined 19 other women entered across 4 race categories, here’s Corinna’s race report. 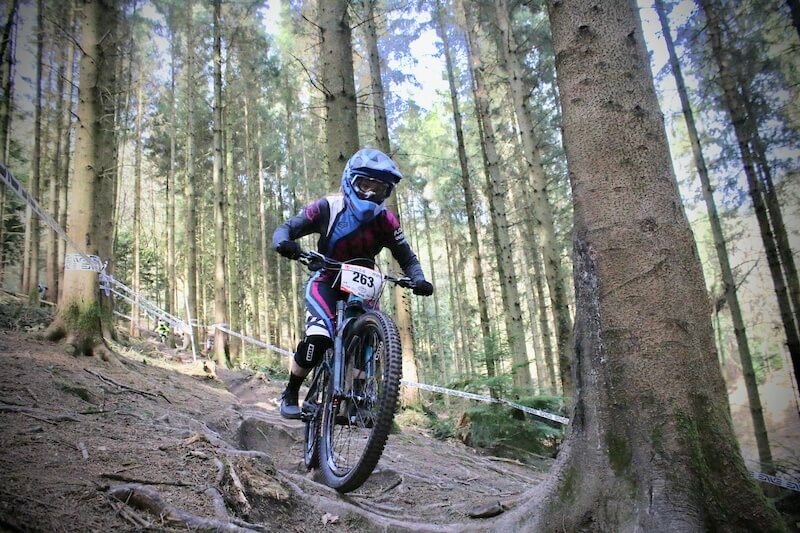 Final round of the Forest of Dean winter series, so excited yet again for another race weekend! Headed over to the venue on the Saturday afternoon for some practice in the sun, sessioning the track and getting full runs in as well. The track was perfect for me, I absolutely loved it.. completely dry, pedally, fast and fun. Feeling so good after practicing Saturday, a good night sleep and waking up to yet another sunny day on Sunday. Absolutely buzzing to be riding in the dry for once! I managed to get one full run in on Sunday’s practice, then I was ready to race. My race runs were unbelievable fun… first race run went well, gutted there’ll only being 2 people in my category so I just compared my result against every women’s time. After my first race run I really wanted to push myself for the second… trying to process the first race run in my head, finding some time. It was a case of pedalling as much as I could, and relaxing on the lower part of the track, letting the bike go. So, that’s exactly what I did! I don’t know how but I managed to go 5 seconds faster than my previous run, making it a 1.01! I was over the moon, and the whole way down I had the biggest grin on my face!